On January 10, 2019, the New Jersey Supreme Court made clear that consumers will not be compelled to arbitrate claims of consumer fraud and other wrongs where the contract provision is misleadingly labeled and otherwise fails to convey clearly that arbitration would be the exclusive remedy and the consumer was waiving her right to a jury trial. The case is Amanda Kernahan v. Home Warranty Administrator of Florida, Inc., (A-15-17) (N.J. 2019), which involved an arbitration requirement within a clause that was titled “MEDIATION.” The Supreme Court affirmed the lower court’s decision finding that the arbitration provision was not enforceable. In 2015, plaintiff in Kernahan purchased “home service agreements” from defendants which provided for the repair or replacement of home appliances and systems. Upon the consumer’s request, defendants would arrange for a certified contractor to repair or replace the systems and appliances identified in the contracts. Plaintiff became dissatisfied with coverage and filed a class action complaint in New Jersey Superior Court alleging violations of the New Jersey Consumer Fraud Act, N.J.S.A. 56:8-1 to -204, and the New Jersey Truth in Consumer Contract, Warranty and Notice Act, N.J.S.A. 56:12-14 to -18, as well as breach of the implied covenant of good faith and fair dealing. Plaintiff sought statutory and common law relief. Plaintiff claimed, among other things, that the section of the agreement labeled “MEDIATION” failed to inform her that she was waiving her right to a jury trial. Defendants moved to dismiss the complaint, or alternatively, to compel arbitration of plaintiff’s claims pursuant to the provision in the agreement. The Superior Court denied defendants’ motion to dismiss, concluding that the arbitration provision was unenforceable and finding the provision both ambiguous and not in compliance with the requirements established in the Supreme Court’s prior decision in Atalese v. U.S. Legal Services Group, L.P., 219 N.J. 430 (2014). The Appellate Division affirmed the trial court’s refusal to dismiss the complaint, and the Supreme Court granted certification. In reaching its conclusion that the arbitration agreement was not enforceable, the Supreme Court in Kernahan was guided by federal and state law governing agreements to arbitrate, explaining that “New Jersey codifies its own hospitable approach toward arbitration in the New Jersey Arbitration Act, N.J.S.A. 2A:23B-1 to -32, using terms nearly identical to those of the [Federal Arbitration Act, 9 U.S.C. §§ 1 to 16].” Id. at 19. The Court also discussed at length its prior decision in Atalese v. U.S. Legal Services Group. In Atalese, the Court declined to enforce an agreement to arbitrate in a consumer contract for debt-adjustment services, finding that mutual assent—or a meeting of the minds—was not achieved because the arbitration provision at issue failed to explain that it was intended to be a waiver of the right to sue in court. Atalese, 219 N.J. at 435, 447. The Supreme Court in Kernahan was careful to note, however, that Atalese “imposes no talismanic recitations, acknowledging that a meeting of the minds can be accomplished by any explanatory comment that achieves the goal of apprising the consumer of her rights.” Id. at 21. In Kernahan, the Supreme Court held that the arbitration agreement was not enforceable, finding mutual assent to be lacking because the contract contained “material discrepancies that call into question the essential terms of the purported agreement to arbitrate.” Id. at 30. The Court characterized the language of the arbitration provision as “debatable, confusing, and contradictory — and, in part, misleading,” and found that it did not “fairly convey to an ordinary person that arbitration would be the required method of dispute resolution.” Id. at 4. For instance, the Court found that the arbitration provision located within a section in the contract labeled “MEDIATION” “fail[ed] to signal to consumers that it contain[ed] an arbitration provision affecting their rights.” Id. at 24. The Court further observed that the small print of the arbitration provision made the provision “burdensome to read” and appeared to violate New Jersey’s Plain Language Act, N.J.S.A. 56:12-1 to -13. Id. Additionally, the Court found that some of terms in the arbitration provision were contradictory. Id. at 24-25. For example, the Court pointed to the reference to the AAA’s Commercial Mediation Rules, which the Court could not reconcile with arbitration. Id. at 24. The Court also determined that the references to arbitration could not be “harmonized” with the title of the section and the use of mediation rules. Id. at 25. In the end, the Supreme Court declined to enforce the arbitration provision and allowed plaintiff to proceed with her claims that were brought in the Superior Court. Id. at 5. Attorneys at Walsh Pizzi have a long history of representing plaintiffs and defendants in the context of enforcement of arbitration agreements. 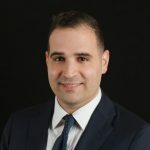 For more information about the Kernahan case or about Walsh Pizzi’s Business and Commercial Litigation Practice, please contact Hector D. Ruiz at hruiz@walsh.law or at (973) 757-1019.